Now the fun begins. Nothing can fire the anger of an American like the arrogance of a government lawyer with his foot on the throat of a helpless citizen, and the justices of the Supreme Court are the government lawyers with the biggest feet of all. The justices sent a message loud and clear in their decision upholding Obamacare and the requirement that everybody has to buy a health insurance policy, or else. That’s a tax, the court held, and the power to tax is the holiest of holies for any government. It’s the first rule of politics as well. Some people expected Obamacare to be upheld, but nobody expected it to be upheld as an affirmation of the power to tax. We just weren’t paying attention. 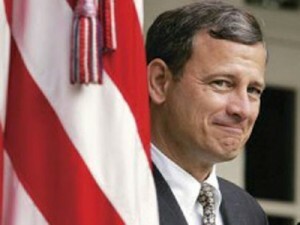 Chief Justice John Roberts, author of the majority opinion, is first a corporation lawyer, and a lawyer is always looking out for the client. The U.S. Government is the biggest corporation of all. Twisting, manipulating and torturing the law is what corporation lawyers do, and Justice Roberts is very good at his job. We’re a nation not of laws, as the law-school cliché has it, but a nation of lawyers. Big difference. So who should be surprised? The message, writ large between the lines of Justice Roberts’ prose, was clear: “If you don’t like the legislation, change the legislators who wrote the law.” A remedy will be available on Nov. 6 at a polling place near you. Despite President Obama’s declaration of victory, Obamacare (a term he detests) is the one achievement he doesn’t want to talk about. The very word “tax” is toxic, and nobody knows this better than the Democrats. Mr. Obama emphatically denied that Obamacare is a tax, telling George Stephanopoulos that he “absolutely rejects” the notion that it’s a tax. Conservatives who are disappointed that the court didn’t knock down the law for its intrusion into the rights of both individuals and the several states, should resist the temptation to waste their time chasing after a notion of what should have been. Obamacare is a fraud, which Justice Roberts seems to be saying, and the way to correct it lies beyond the power of the lawyers. Americans have grown soft and lazy over the past few decades, fattened on the notion that the lawyers on the Supreme Court know what’s good for us, that they will see that we live happily ever after, to feed on the soup they make from whatever emanations and penumbras they can find in the Constitution. The Supreme Court gave Barack Obama his law and his “legacy,” such as it may be, but they gave Mitt Romney and the Republicans a cause beyond price. Running against the tax collector and the biggest tax increase in history should be so easy even a cave man could do it.